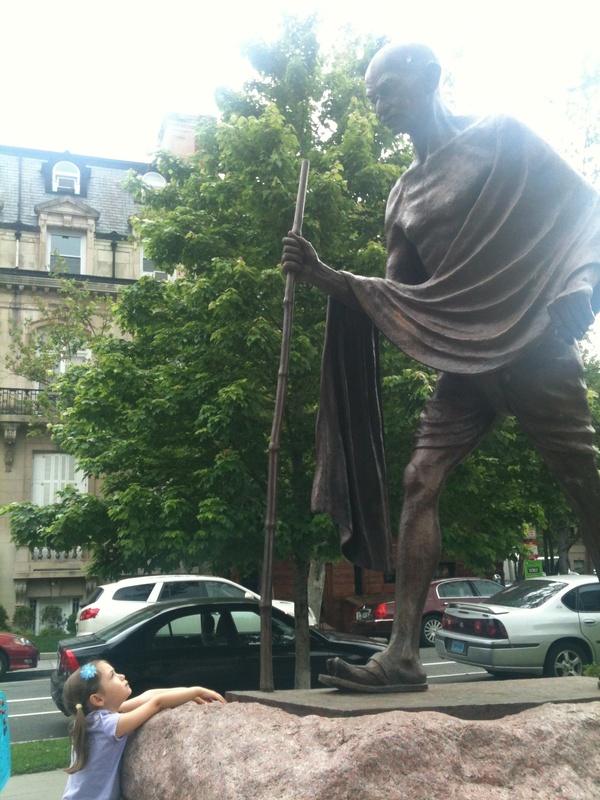 Piper met Gandhi yesterday in Dupont Circle. It’s where he hangs out, apparently. Piper stood looking up at Gandhi for a moment. “I’d like to be like Gandhi,” she said. This entry was posted in Daily Dharma and tagged civil disobedience, Dupot Circle, gandhi, justice, parenting, peaceful protest, piperism, things kids say, vow of poverty by melissa.scholes.young. Bookmark the permalink. Ha! Listen, at this point in the world – we’ll take it!! !